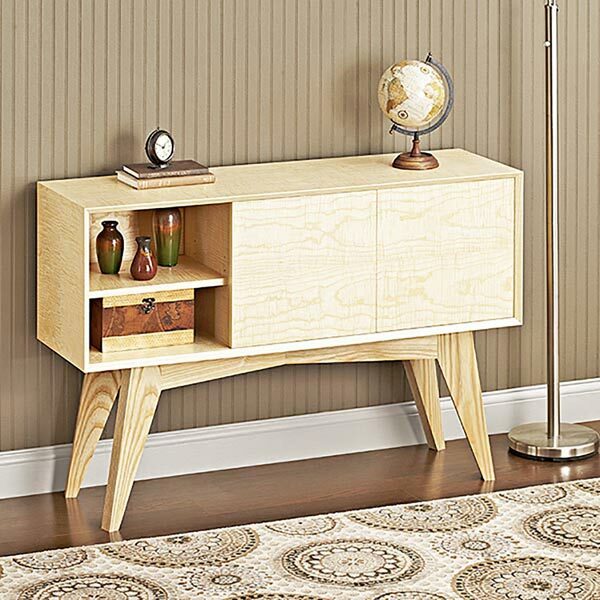 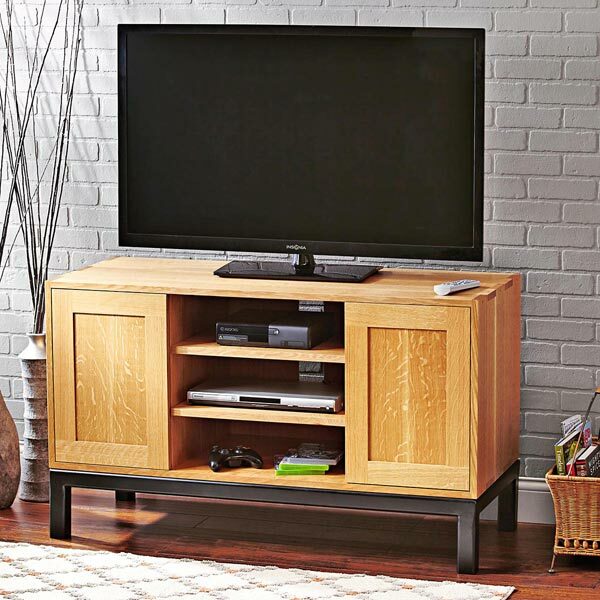 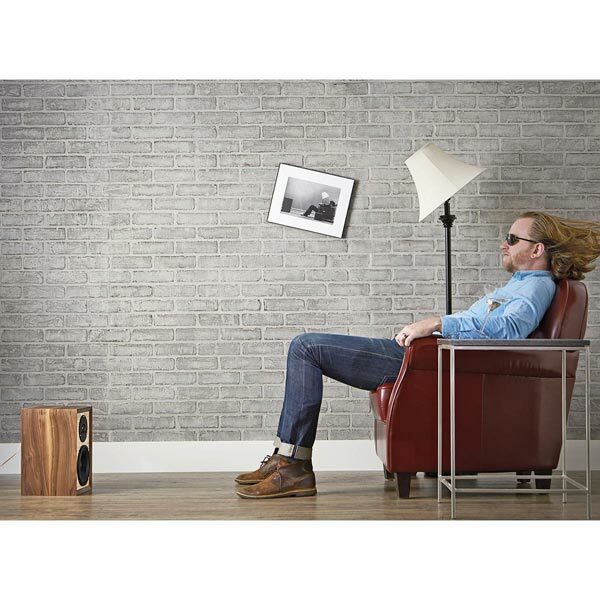 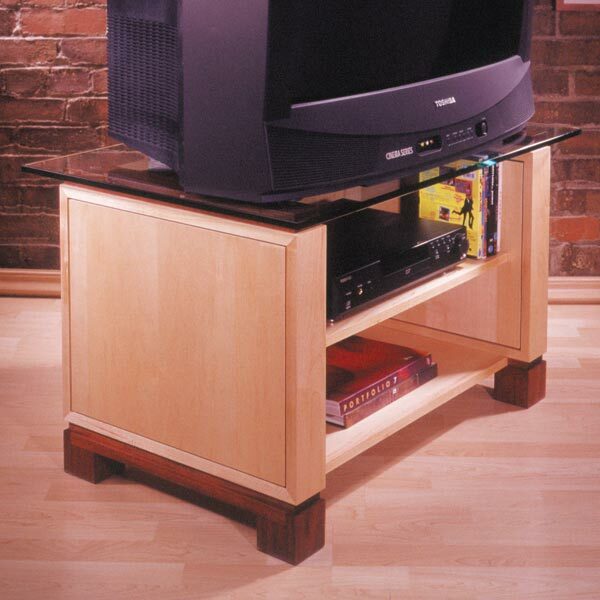 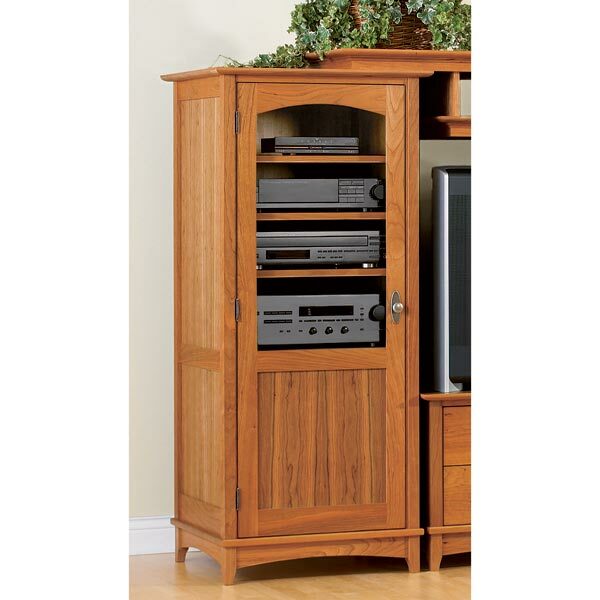 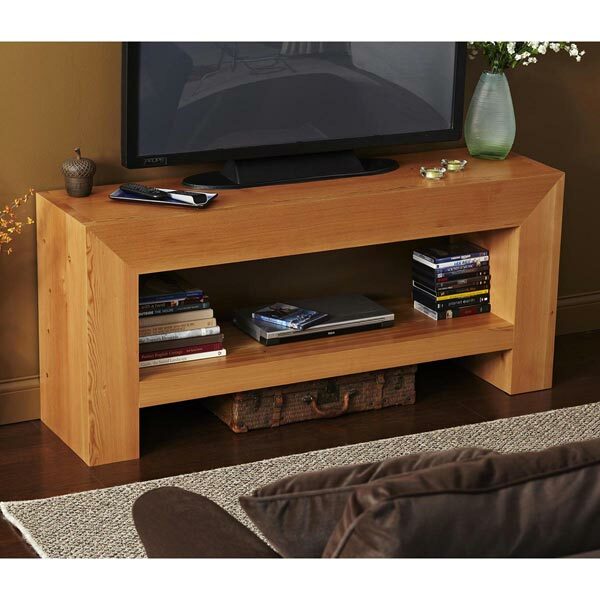 Give your CD sound system, TV, and VCR a fitting home with this three-piece cabinet combination. 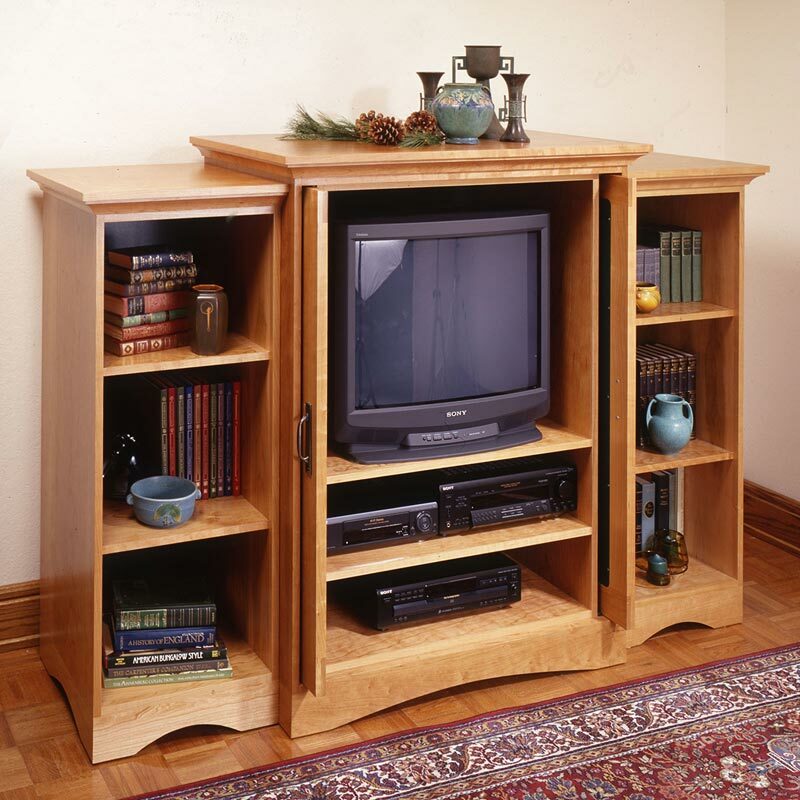 The main attraction, the center cabinet, offers room for a 27" television. 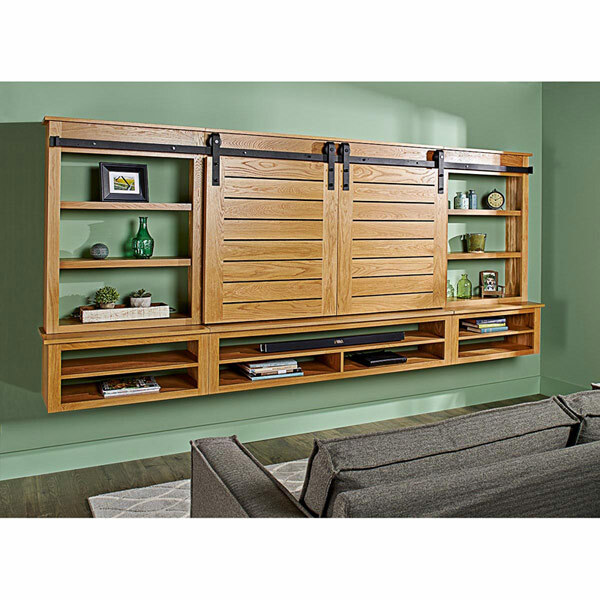 Flipper doors pull out from the interior and neatly hide the screen when not in use. Optional matching side cabinets abound with room for practically everything else. 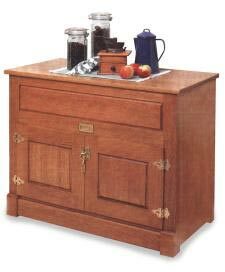 Center cabinet measures 38-1/2"-wide, 22-1/4"-deep, 53-1/4"-tall.Side cabinets measure 18-1/4"-wide, 19-1/4" deep, 50-1/4"-tall each.